1. Place all ingredients into a small pot, whisk and place onto a medium- high heat. 2. Simmer for 2 minutes. 3. Serve at this stage OR pour the hot chocolate into a jug blender and blend for 30 seconds. This aerates the hot choc, which makes is very light and fluffy, which works so well with its rich creaminess. 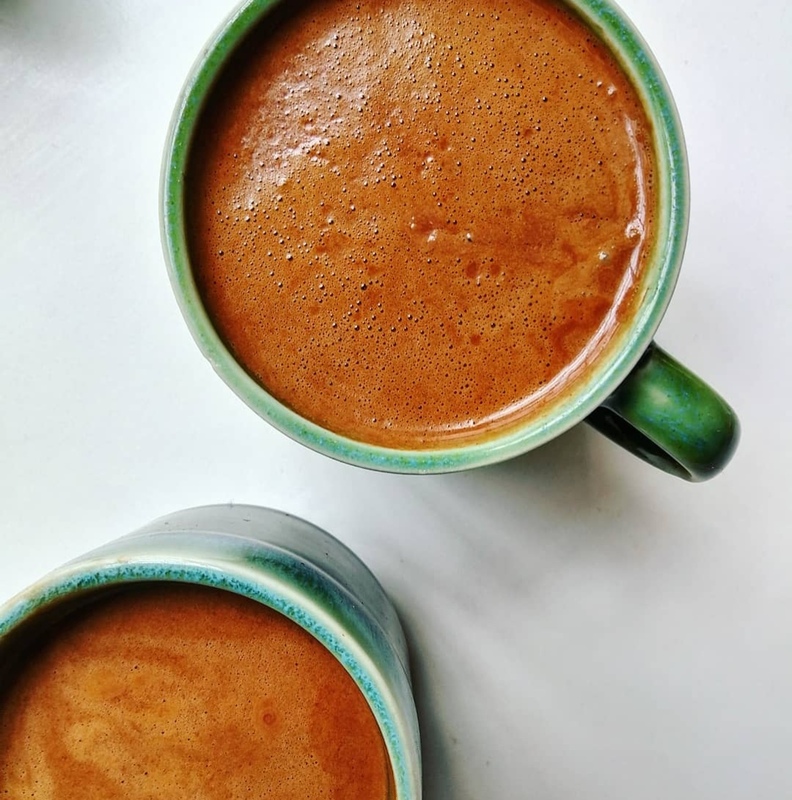 Note: I only add the almond butter if I want to stay fuller for longer or need a little extra energy, so if you are just having your hot choc as a little treat, then i would suggest leaving out the almond butter.